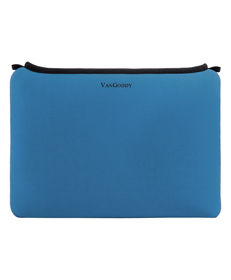 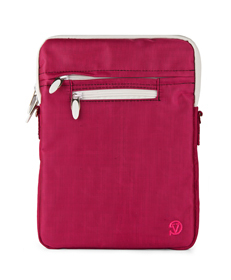 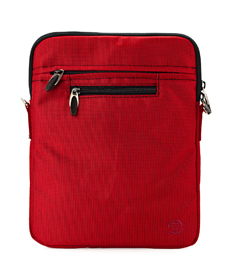 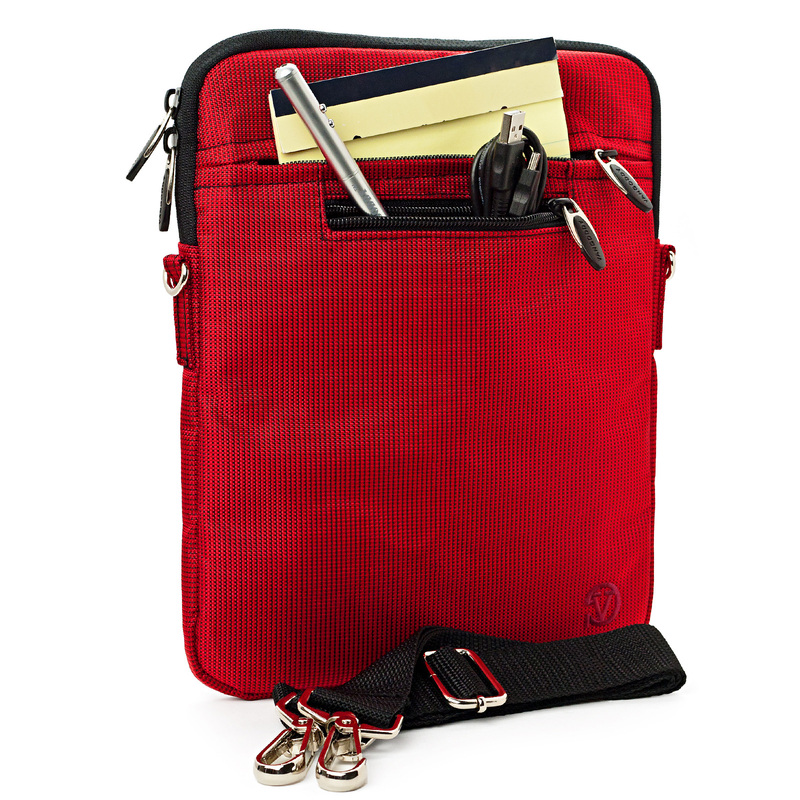 Carry and protect your device and accessories in style with this nylon carrying case. 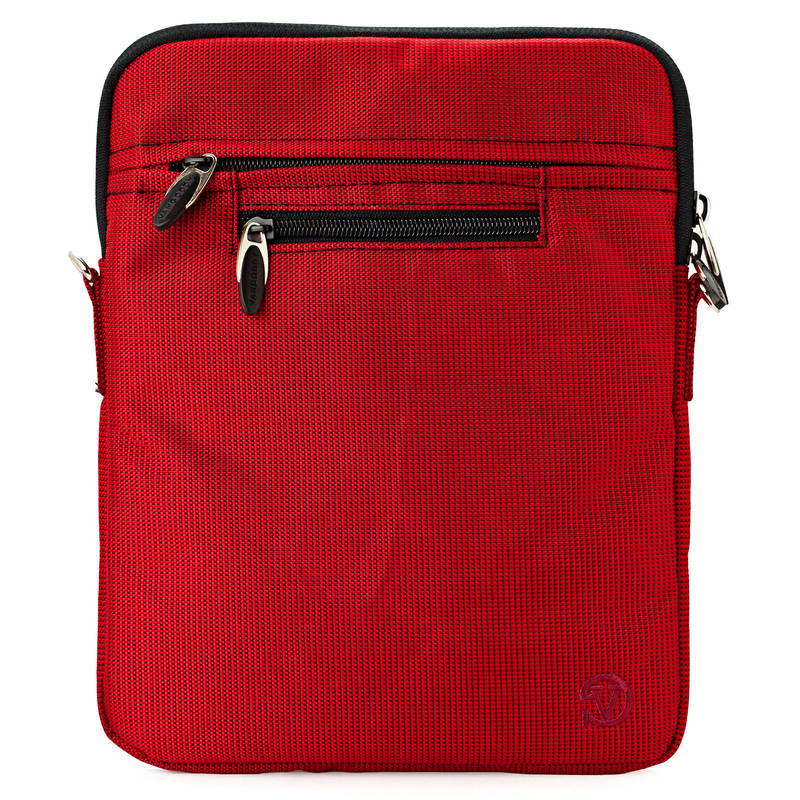 This lightweight and stylish case is made with hi-grade material. 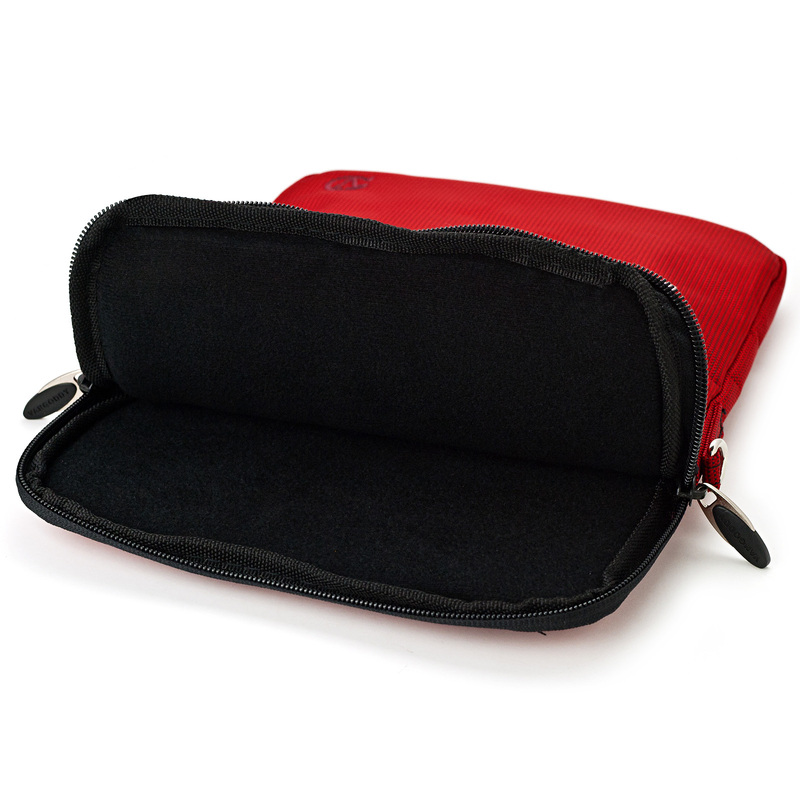 Compact case with padded interior. 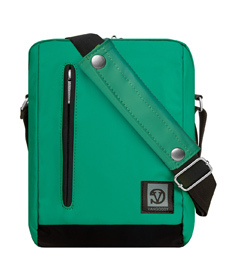 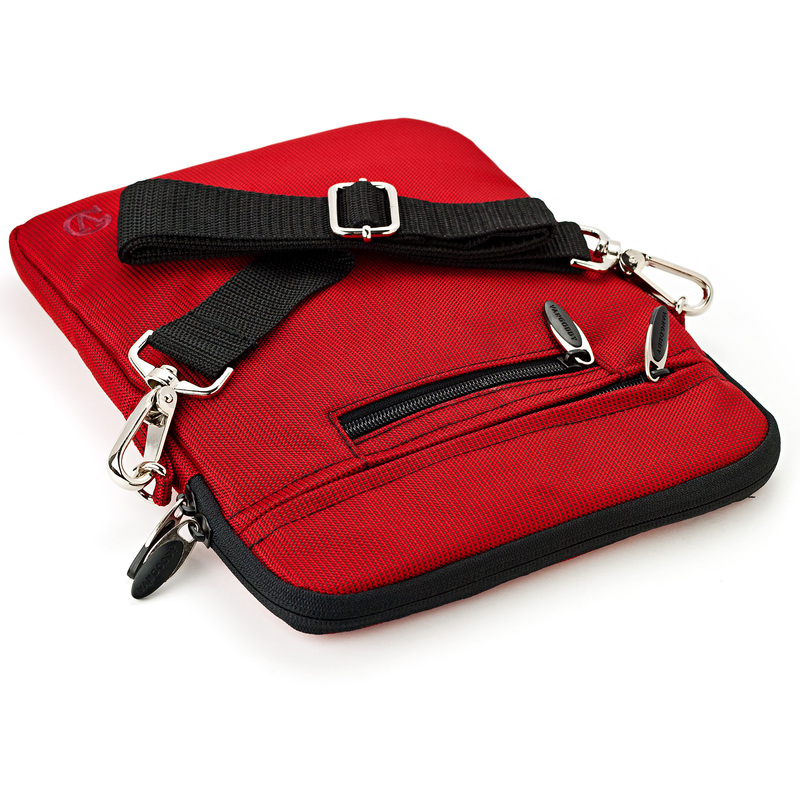 Removable Shoulder Strap lets you carry with comfort. 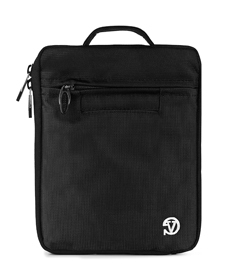 Approximate Exterior Dimension: 11 x 8.5 x 1.5 in. 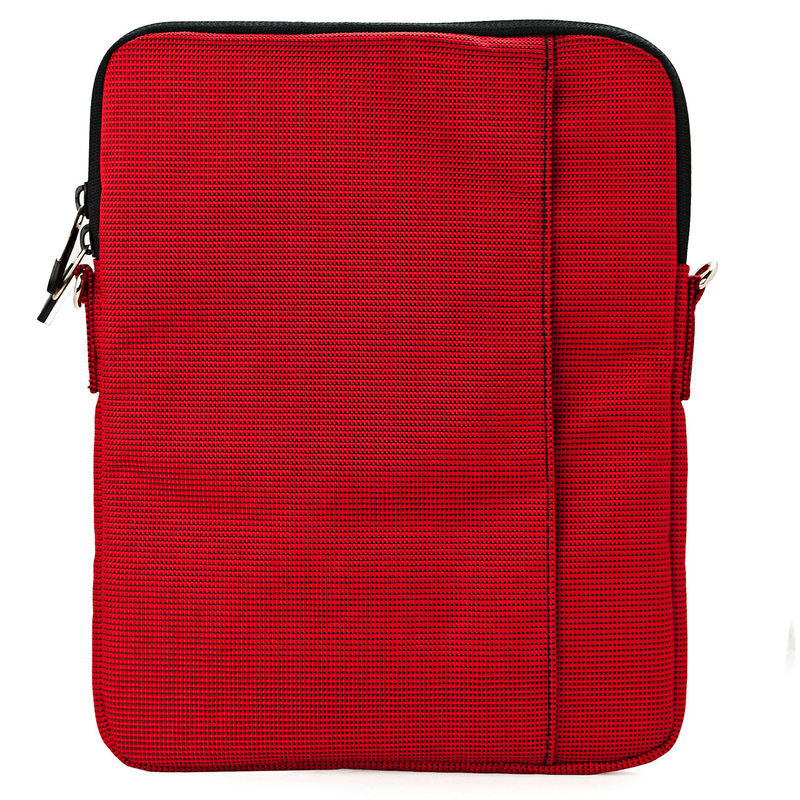 Approximate Interior Dimension: 10 x 8 x 1 in. 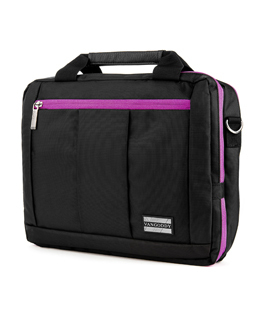 El Prado Laptop Messenger/ Backpack (Black/Purple) 10-12"